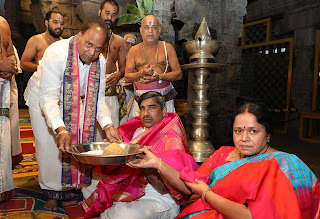 Tirumala, 15 Apr. 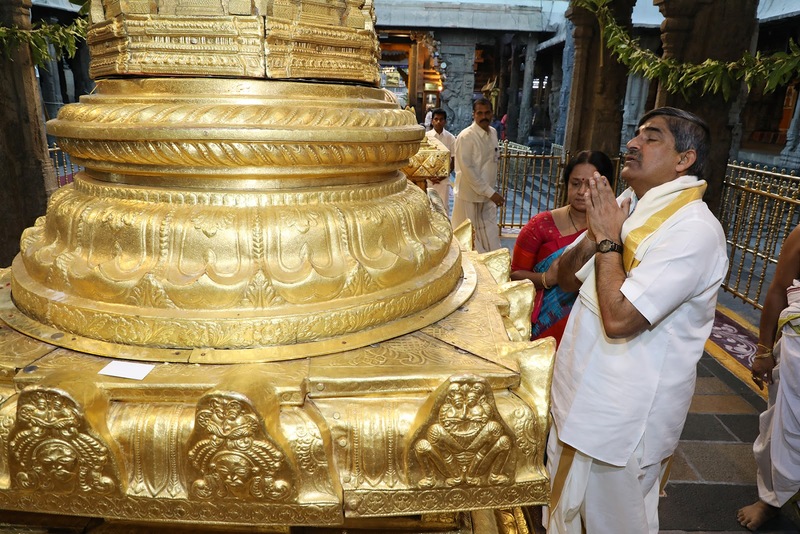 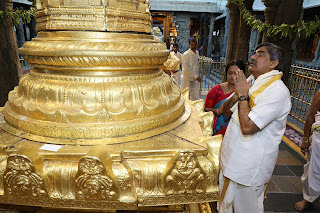 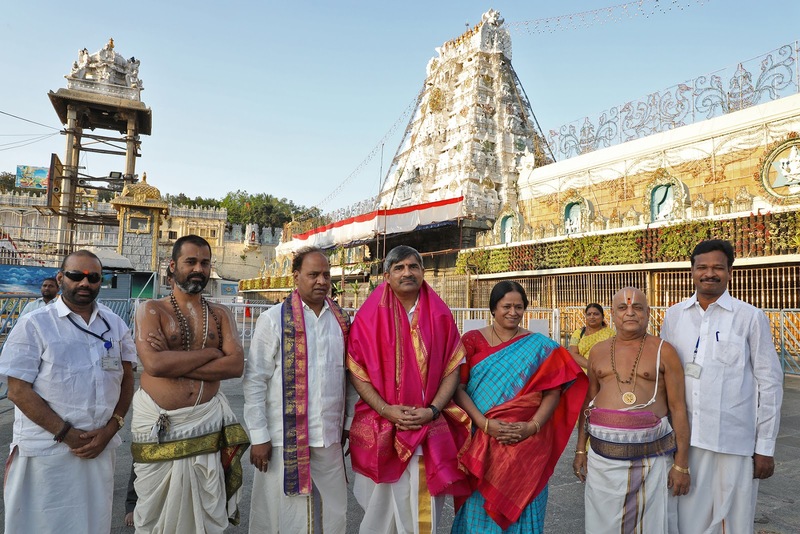 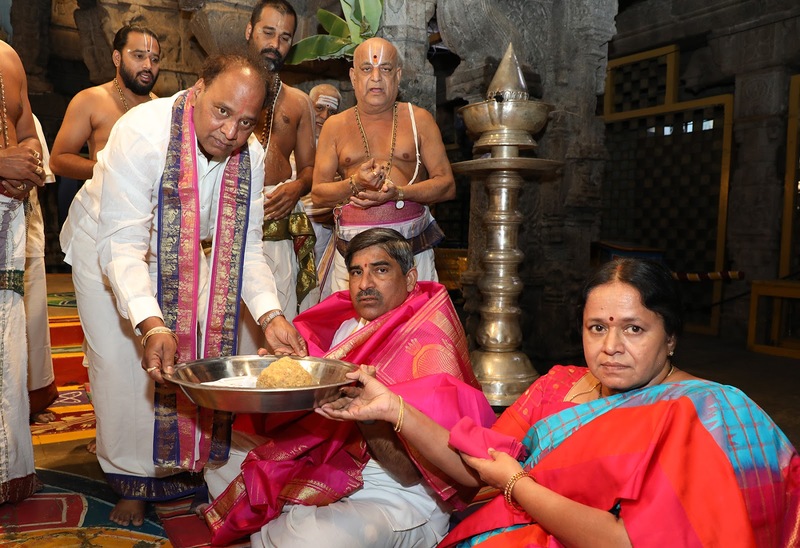 19: The Chief Secretary of Andhra Pradesh, Sri LV Subramanyam offered prayers in the temple of Lord Venkateswara in Tirumala on Monday. 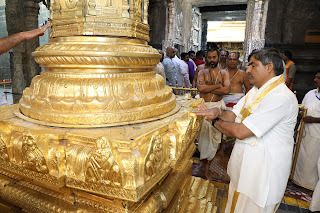 The CS accompanied by his spouse Smt Sowmya had darshan of the presiding deity Sri Venkateswara Swamy during Suprabhata Seva and later in VIP Break Darshan. 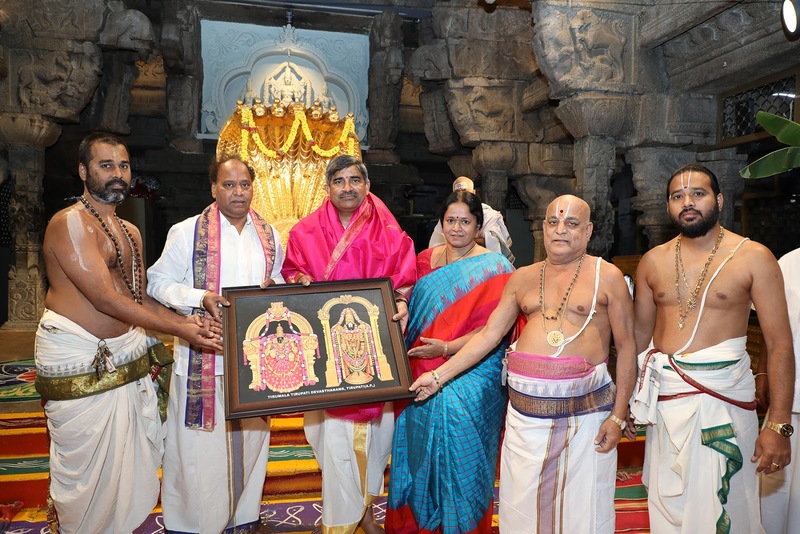 After darshan the Chief Secretary was rendered Vedasirvachanam by the Vedic pundits in Ranganayakula Mandapam. Later, Tirumala JEO Sri KS Sreenivasa Raju offered Theertha Prasadams and Laminated photo of Lord to the Chief Secretary. 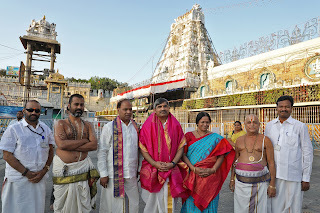 Temple DyEO Sri Harindranath, Peishkar Sri Ramesh Babu and others were also present.